The hill is hot! The absorption rate for new listings is under 2 meaning that it is an excellent sellers market and there is only about a two month supply of housing inventory at the pace buyers are buying. Active Listings: 13 homes are available on the hill priced from $558,500-$1,986,000. The current entry price point to buy a home on Hollywood Hill is about $100,000 more than 6 months ago. $558,500 is the new low for the neighborhood. On the other end of the spectrum the luxury home market or those homes over $1,000,000 is still a little sluggish. There seems to be a barrier to the $2,000,000 price point. It has not been broken this year. So, there are some fabulous buys in the higher end, luxury, home market. 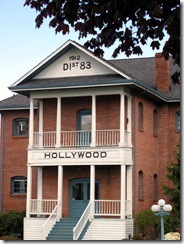 Hollywood Hill is made up of approximately 1,400 homes. The beauty of the neighborhood is that there are homes that were built in the early 1900’s and then throughout the century into the next. It is a diverse neighborhood and at anytime there may be a property that is older in construction, unimproved or with less square footage that may become available under $500,000. On the other hand, the luxury home market abounds with fantastic homes that you could not replicate or build for the price offered today. Throw in the low interest rates and this is truly a market for both buyers and sellers.